Bubl Technology recently announced it has finished sending its unique Bublcam to early Kickstarter backers and pre-order customers. The company's Kickstarter campaign raised more than $262,000, and the device is now backordered with a $799 MSRP. As supporters now have access to the camera, expect software updates, support for Google Android and Apple iOS, and other features to be developed. Features include HDR and time lapse, access to the Bubl Cloud Service, online sharing, and compatibility with the Oculus Rift, Samsung Gear VR, and Google Cardboard. The unique camera is able to take photos and record video of 100 percent of a spherical range with no blind spots. 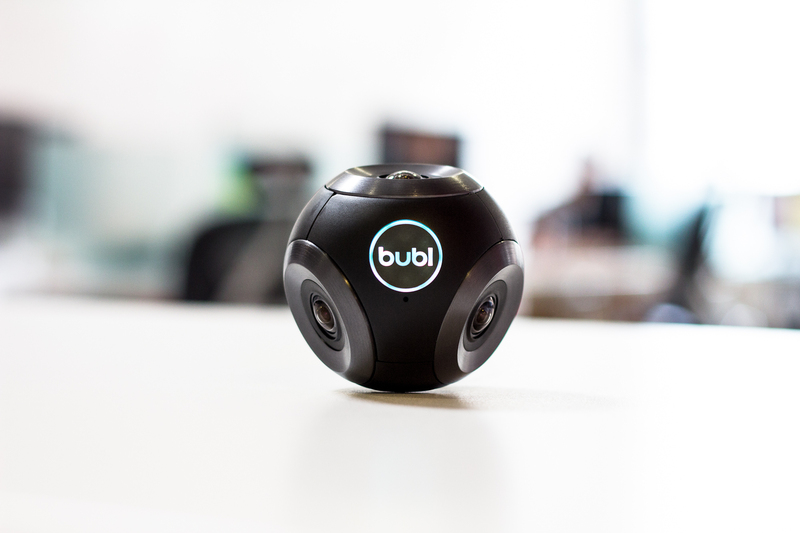 "We are all so happy and enthused to get the Bublcam in the hands of some of our biggest supporters and see the amazing moments they are creating," said Sean Ramsay, CEO of Bubl. "This is a huge milestone for our company and is just the beginning of bringing spherical technology to everyone."